With no guaranteed fix in place to get the Boeing 737 MAX back in the skies anytime soon, American Airlines has decided to play it safe and extend all related flight cancellations through June 5. 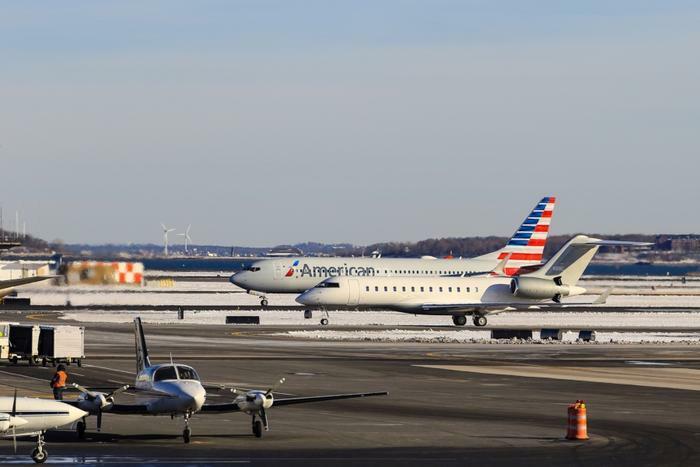 American -- like Southwest and United -- has had to sit on its hands since March 14 when the United States grounded all MAX-driven flights after two MAX aircraft crashes in five months. The take-charge positions of airlines, the Federal Aviation Administration (FAA), the Department of Transportation (DOT), the National Transportation Safety Board (NTSB), and Boeing to find a solid, long-lasting solution is good for everybody, especially the consumer whose lives and loyalty are at stake. Do you have an upcoming reservation on American? Answer: Not all flights that were previously scheduled on a MAX will be canceled, as American plans to substitute other aircraft types. In total, approximately 90 flights will be canceled per day. Answer: A flight that was not scheduled as a MAX flight might be canceled to enable American’s team to cover a MAX route with a different aircraft. The company’s goal is to minimize the impact to the smallest number of customers. Any update from the other airlines involved? At press time, neither United or Southwest had announced an extension similar to American’s. ConsumerAffairs has reached out to both airlines and will update our readers as soon as we hear something. In a statement to ConsumerAffairs, a United Airlines representative said that the company is "working diligently to reduce any customer impacts through use of alternate aircraft and rebooking and [has] contingency plans through June 05." In a separate statement to ConsumerAffairs, Southwest Airlines said that it will also be revising its schedule through June 7. Below is the full statement given by a representative. "Today, Southwest’s flight schedule was revised through June 7 in an effort to support our Customers by reducing last-minute trip disruptions and cancelations which have been caused by the removal of the Boeing 737 MAX 8 from service for longer than anticipated. By cancelling flights through June 7 now, we can offer rebooking options sooner so that affected Customers can maintain confidence in their travel plans," said Southwest representative Brian Parrish. "Customers affected by flight changes are being proactively notified. We sincerely appreciate our Customers’ patience and understanding regarding these schedule changes, and we look forward to restoring the level of reliability and on-time performance that our Customers and Employees deserve and expect from Southwest." Parrish also noted that affected MAX 8 aircraft represent less than 5 percent of Southwest's entire fleet.